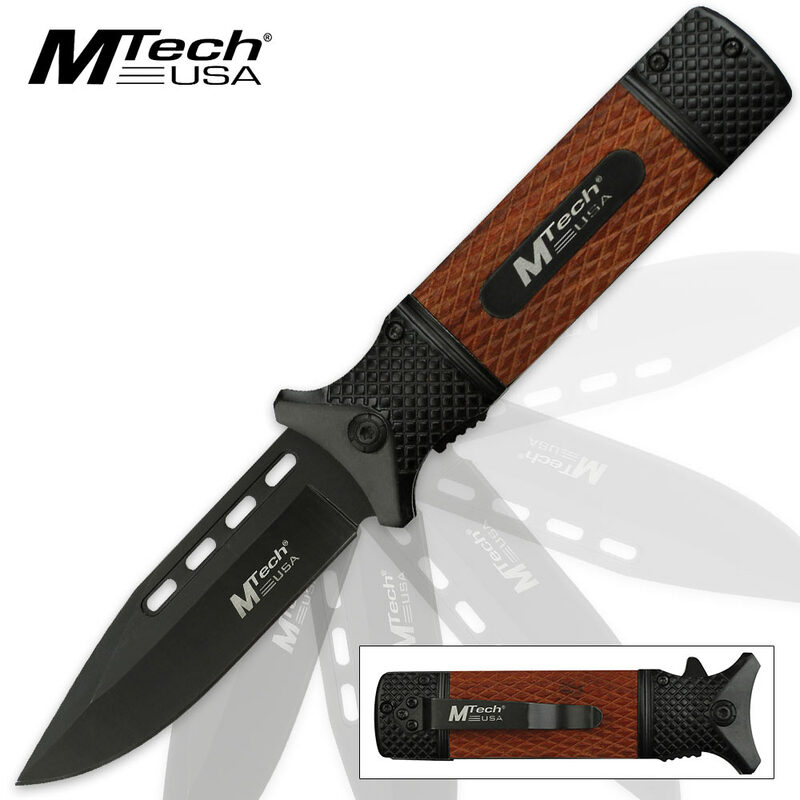 MTech USA Steely Assisted Opening Pocket Knife - Black Blade Finish, Brown Handle Scales | BUDK.com - Knives & Swords At The Lowest Prices! The MTech USA Steely Pocket Knife has everything you want in a reliable folder - rugged construction, supreme versatility and its own distinct style that fuses rustic and industrial. Its 3 3/4" 3Cr13 stainless steel blade is robust and razor sharp, well suited to countless cutting jobs. 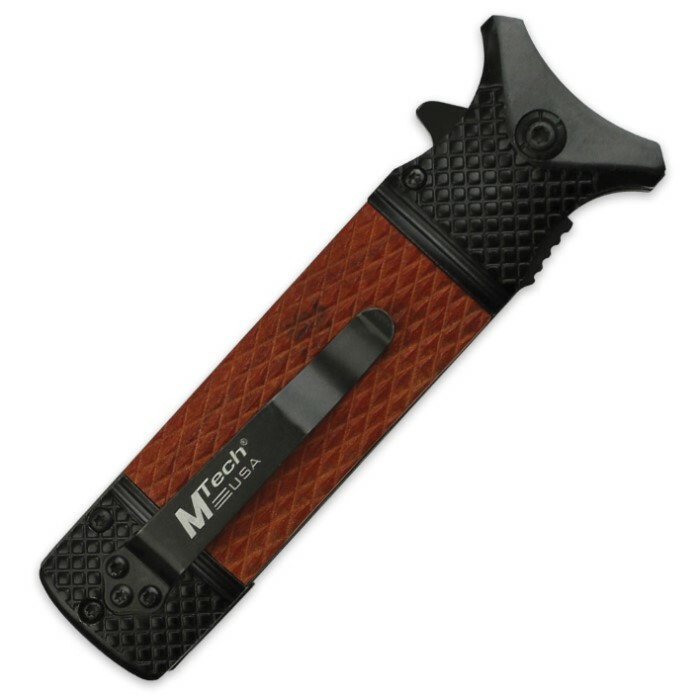 Quick, one-handed blade deployment is a snap, thanks to the steely's silky smooth advanced assisted opening mechanism. 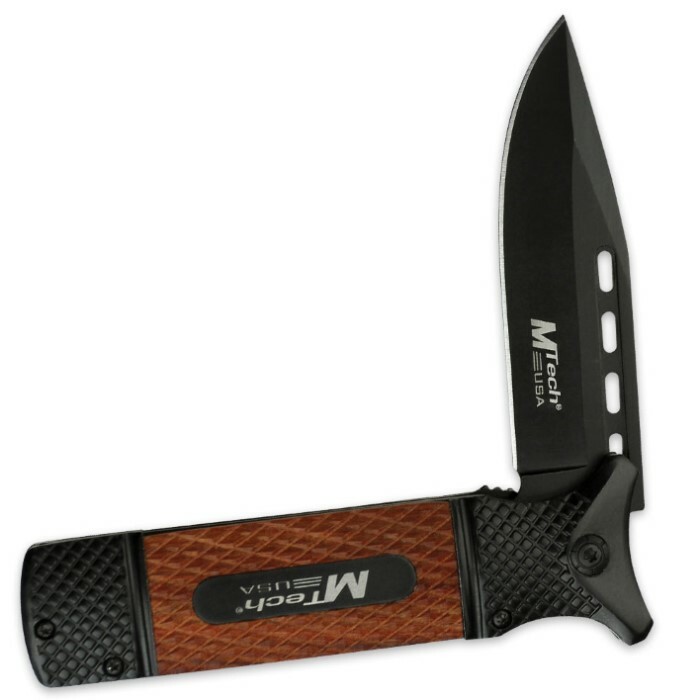 Along with the stately through-hole accents along the spine, the blade features a brooding black finish, the perfect complement to the likewise-colored stainless steel bolsters. Crisscrossed with a stately diamond relief pattern, the bolsters are beautifully offset by the Steely's elegant brown pakkawood handle scales. Clip the Steely to your pocket, belt or anywhere else via the built-in pocket clip, and never leave home without this ideal everyday carry!